Yoga at the Horticulture Center. 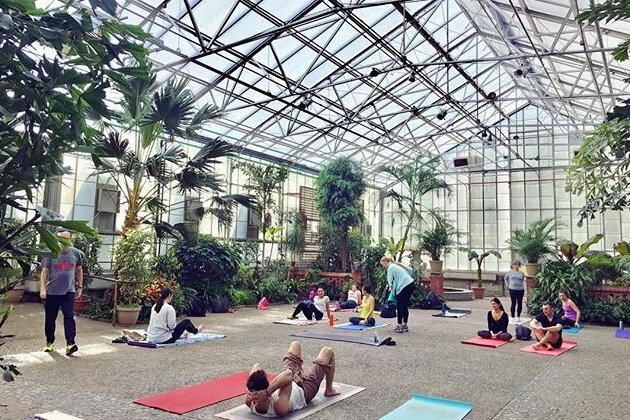 There's still time to participate in Fairmount Park Conservancy's popular yoga series at the Horticulture Center. Every Sunday this February, there will be a class in the tropical plant-filled greenhouse – and tickets haven't sold out, yet. The class fee is $15. Members of the Fairmount Park Conservancy can attend for free. Membership starts at $35. The class on Feb. 3 and Feb. 10 will take place at 8:30 a.m. and isn't recommended for yoga newbies. The other two classes this February will start at 1 p.m. and include an extra-long savasana (final resting pose). All classes will include live relaxation music. Remember to bring a mat and water for the workout.